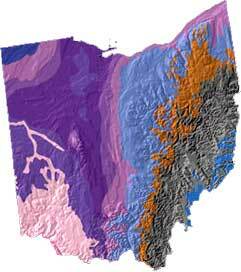 Ohio geology and topography map courtesy of USGS: A Tapestry of Time and Terrain. *The Iroquois Confederacy (also called the "League of Peace and Power," the "Five Nations," the "Six Nations," or the "People of the Longhouse") is a group of Native Americans originally consisting of five nations: the Mohawk, the Oneida, the Onondaga, the Cayuga, and the Seneca. A sixth tribe, the Tuscarora, joined after the original five nations were formed. 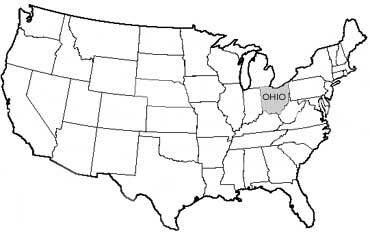 The state of Ohio USA (public domain image). Add Media for Origin of "Ohio"